Today is the day Apple fans the world ’round have been waiting for: it’s Mac World 2009. This year is the supposed last year of such an event and as such they are giving the world some nice goodies. First, the new Mac Book was announced. 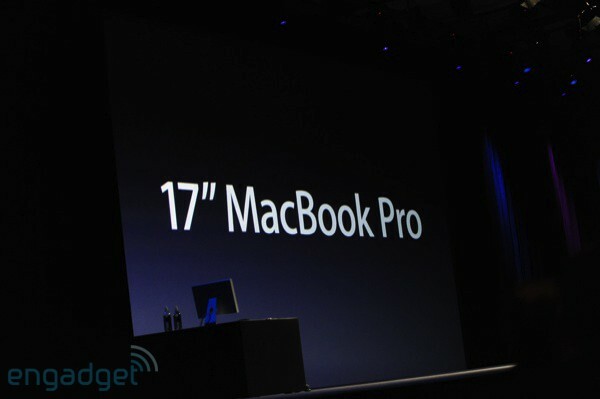 They’re touting it as the lightest and thinnest 17-inch notebook on the market. It also has the a battery that lasts 3x longer than the industry standard and stands at an 8 hours long. In other news, by the end of the year 10 million songs will be completely DRM free; as of today there are 8 million. You can upgrade through iTunes starting today, and it will cost just the same as before: $0.30 a song. Another update is a change to single song prices as they will have three tiers $0.69, $0.99, and $1.29. Starting today, the iTunes store will also be available through 3G on the iPhone. You can download directly onto your iPhone and sync up with your computer later on. Nothing was really groundbreaking or a huge surprise, but it’s all quite nice for the new year. Here’s to hoping there will be some even nicer things throughout the rest of the CES week. I also implore you to read the entire keynote coverage on Engadget and keep up to date with the world of gadgetry either here or there as I’ll be echoing a lot of their posts in the coming days.